Package 1.0+ The Original & Unique *Pony Party Bus * Complete Event Packages are booked for either 1 hour, 1.5 hrs, or 2 hours - of Miniature horse cart rides for up to-3 kids, per ride in the PINK Miniature horse cart pulled by "Angel." *the cart ride is provided at a walk only." * Formal Quotes & Official event pricing depends on the distance & location of your event. The duration of the event requested is also taken into consideration when providing a quote. *Event Client must specify their requested event start time and end time for their event. The time frame approval for pony party entertainment depends on weather, and availability. By selecting either a 1 hour, 1.5 hour, OR 2 hour(s) event with our adorable and sweet miniature horses and pony ride ponies, you will receive an accurate price quote for your event. please let the booking coordinator & founder know ASAP to be booked ahead of time depending on booking availability. ​Thank you very much in advance for your interest! If you book and pay your event deposit in advance, you will get a $25 dollar promotion towards your Pony Party Bus event! *Limit one $25 promo coupon per event/per coordinator & per booking. $25offPPB for your promotion to be valid. Every event we provide our ponies to, includes the owner, operator, and founder of the business at every booked event! * Additionally, this package includes a big group photo with our sweet 25 inch miniature horse "Toast" at the end of the event! 1.5 - 2 hours of cute and fun Miniature Horse cart rides, Grooming, Petting, Dress-up, and Photo ops. To Get your Event Quote Please Contact Me for Current Day Care Rates! For larger functions, such as day care centers, nursery schools, and corporate functions with larger groups. The Pony Party Bus suggests offering each classroom a special individualized turn with the ponies. Rotating the classrooms, students, and teachers is the best way to accommodate large numbers we have found. This enables every child to have the opportunity to enjoy some fun play time with our miniature horses. 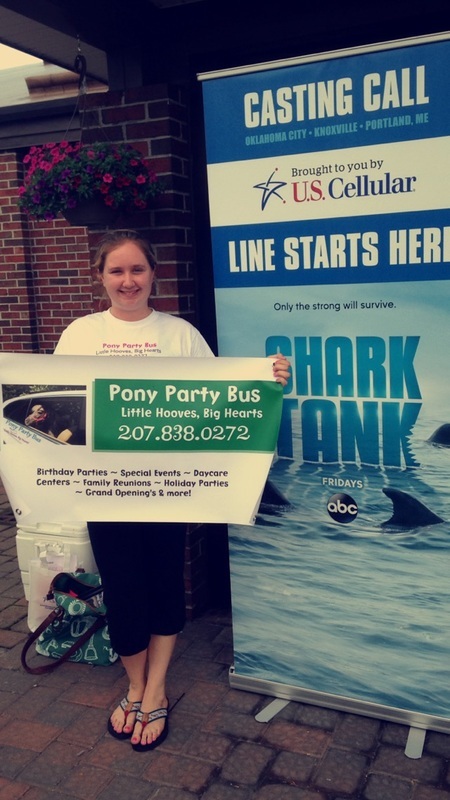 *If you book the Pony Party Bus for consecutive day larger events, we may be able to work out a multiple day event discount. We also love to travel to local schools, country club functions, & especially love appearing at child nursery schools & day care centers! 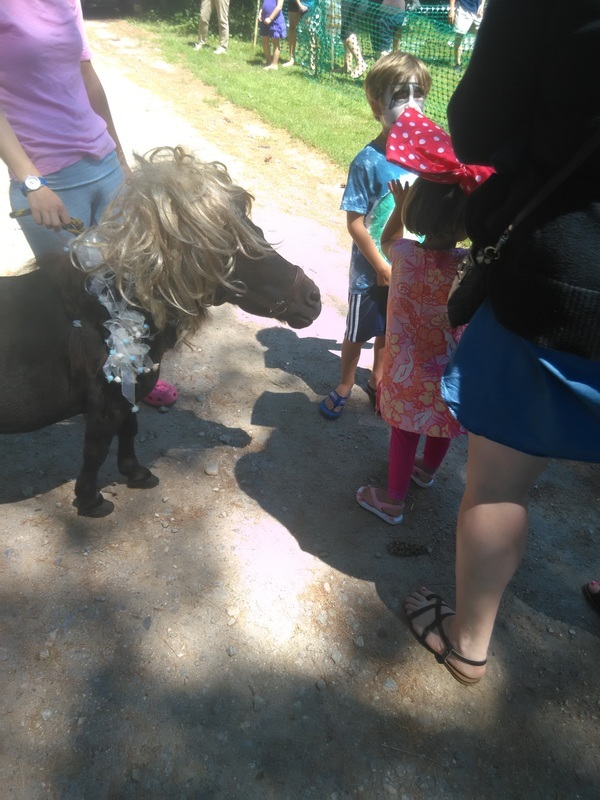 We have also provided fun mini pony day-camp appearances to local summer camps as a special summer camp activity option!